After performing on Broadway in The Lieutenant, for which he was nominated for a Tony Award, he moved to Los Angeles. He landed the role of Carmine for Laverne & Shirley in 1976, acting on the series until it was canceled in 1983. His recent television credits include 24, The Suite Life of Zack & Cody, It’s Always Sunny in Philadelphia, The Bold and the Beautiful, and as Detective Murdoch in the Fox television movie Catch Me If You Can. He had a small role in the 1992 film A League of Their Own whose credits list him as “Mae’s guy in bar”. On stage, he has performed in Hairspray at the Luxor in Las Vegas, Nevada and in a national tour of Grease with Cindy Williams. 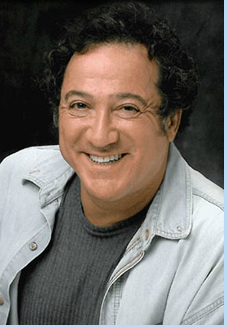 Mekka returned to Broadway on July 15, 2008, starring in Steve Solomon’s long-running comedy “My Mother’s Italian, My Father’s Jewish & I’m In Therapy!” at the Westside Theatre. Mekka reunited with his Laverne & Shirley co-star Cindy Williams in a November 2008 regional production of the Renée Taylor–Joseph Bologna comedy play It Had to Be You. In 2008, Mekka wrapped production in the independent film Code Enforcer. He stars opposite Erin Moran of Happy Days. Mekka starred as Tevye in Fiddler on the Roof at the John W. Engeman Theater in Northport, New York, from April 29, 2010, until June 20, 2010.